With the announcement of ARKit 2.0 at WWDC 2018, Apple is bringing some powerful new capabilities to mobile augmented reality apps this fall. Shared experiences, persistent content, and 3D object recognition will enable more social, transcendent, and immersive experiences for apps, and developers are already hard at work on harnessing the features of the update. The first app that would benefit from ARKit 2.0 is the game that has become synonymous with augmented reality in "explain it to me like I'm a five-year-old" introductions to the technology. It's the reason why Google is offering its Google Maps API to developers to facilitate the creation of similar location-based games, and why the Jurassic Park franchise has launched its own version of the game with the tool, with The Walking Dead and Ghostbusters franchises planning on following suit. But outside of the monster capturing experience and the location-based game world, augmented reality is actually almost an afterthought in Pokémon GO. However, ARKit's new shared experiences feature could turn gym battles and raids into multiplayer melees in augmented reality. Instead of fights taking place just on the phone screen, they can instead take place in the physical environment. When one player begins a fight at a gym in augmented reality, spectators can view the battle in the same space through their devices. Of course, if Niantic decides not to implement a feature like this, its imitators could easily try it on their own. An app that shows how machines and such work in augmented reality, Jigspace has an opportunity to become the destination for augmented reality operation and troubleshooting manuals for household appliances. Here's how: With 3D object recognition, users could hypothetically scan a product with Jigspace and view an animated a step-by-step operating sequence on how to operate the appliance, making it easier to make that first cup of cappuccino with that new espresso maker. Likewise, Jigspace can show an exploded view of an item so users can better understand how to repair standard problems, like paper jams in a printer. So far, Snapchat has opted to rely on its own AR tech rather than ARKit. And it's no slouch in that department, with recent innovations like sound recognition, background segmentation, and hand detection to its credit. However, it has leveraged AR capabilities from Apple, such as adopting Face Tracking in ARKit for the iPhone X's TrueDepth camera. Snapchat could further enhance its current offerings with Apple's updated toolkit. The shared AR experiences of its Snappables platform requires users to send recorded experiences back and forth. With ARKit 2.0, those Snappables could become shared experiences in the same environment as well. Moreover, with object recognition, Snapchat could expand its advertising portfolio. For instance, a partnership with Funko could involve unveiling AR content when users scan a figurine. While Apple may have rendered AR ruler apps obsolete with its own Measure app for iOS 12, but apps like Magic Plan that create floor plans from those measurements have a shot at redemption. With 3D object recognition, Magic Plan could add the ability to scan furniture and decor and add them to floor plans. Apps that enable customers to see furniture in their homes before they buy, led by IKEA Place, can add even more functionality to their tried-and-true formula. Now, after customers close the app, the preview of their coveted couches disappear. Persistent AR can let them bring the virtual model back for review later. While real-time strategy game The Machines already has a multiplayer mode, the shared experiences feature would make this tower defense shooter much more fun. Levels in multiplayer mode could be designed to be more complex, making cooperation necessary to succeed. 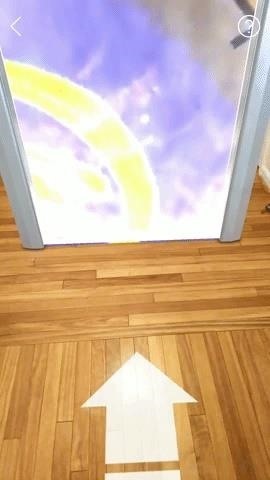 The persistent AR feature would also add a valuable save feature to this and any game. Numerous apps exist for placing 3D content in the real world. But once the session is over, the content is gone. ARKit 2.0 can make these experiences more than one night stands. For example, gifs from Giphy World can be embedded in real-world objects via image and object recognition, and persistent AR can save the experience for the next time the app is opened. We've already seen similar functionality in Mirage World, which uses a combo of computer vision and location for persistence. ARKit 2.0 may have just written the death warrant for that app. Why play basketball in AR by yourself? 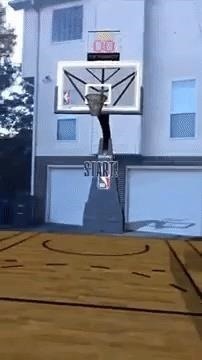 With shared experiences, apps like NBA AR could let you play HORSE or maybe even a game of 21 with multiple players and save the games with persistent AR. The persistence feature could also apply to the new 360 portals in the NBA AR app, allowing users to place a portal in a specific part of their home and come back to it later. Okay, so this isn't a particular app rather than a category. But, via Apple's WWDC keynote, we've already seen what Lego can do with 3D object recognition, shared experiences, and persistent content. It seems fairly obvious that board game makers could get in on this action as well by publishing companion AR apps for their titles. Shared experiences is the clear feature that could be best used for board games in AR, because no one plays board games solo. One other ARKit 2.0-powered option would be to scan the game board to start a game and, when it's time to come to stopping point, scan the game and the pieces again to save their positions with persistent AR. This is something Kramer and Newman could have used for their ongoing game of Risk. Alternately, after scanning a physical game board, players could place virtual game pieces onto their views of the board. AR could also help preserve the integrity of games like Battleship, where secrecy is paramount. Our final recommendation also involves an AR app that doesn't yet exist. Earlier this decade, the Skylanders game franchise was red-hot with the preteen set. I know this because my own son was obsessed with the game and constantly pestered me to buy new figures. Disney and Lego prepared their own competitors, but the entire segment has since lost steam. Object recognition could revitalize Skylanders and the toys-to-games genre by streamlining how characters are introduced into games. Portals and NFC chips would no longer be needed; gamers could simply scan their figures to import the characters into their games. Again, we've already seen how Lego intends to leverage these new capabilities, so we shouldn't expect that idea to remain exclusive for long. What other apps would you like to see with ARKit 2.0 functionality? Let us know in the comments below.